Lot:3321 RUSSIA. 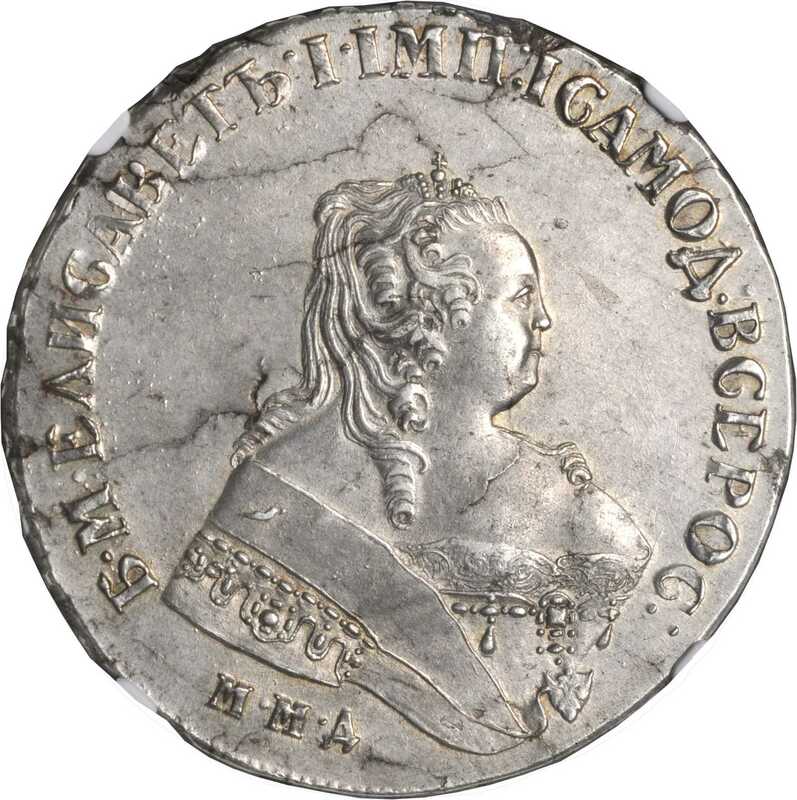 Ruble, 1750-MMA. Elizabeth (1740-60). NGC AU-58. Dav-1678; C-19.1; Bit-122; Dia-216. A lovely example of the type struck on a planchet exhibiting a few hairline beginnings of laminations as made and the reverse die showing a bit of rust. A light rub of wear can be seen on highest points of relief but has resulted in no actual loss or major flattening of detail. Lightly toned with a silvery gray hue and subtle suggestions of golden and blue colors. Underlying luster nearly full and is quite strong in the fields..NGC AU-58.